I can't remember the last time I reviewing a humble cable here on AAWP. But this one turns out not to be that humble. 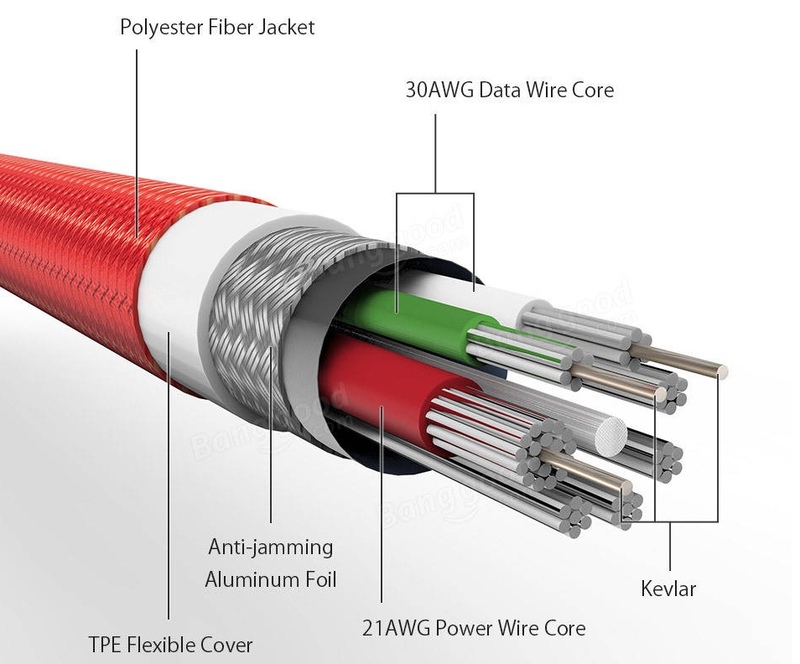 We've all had charging/data cables fail on us - with the outer coating getting nicked, or the join with one of the connectors bending or breaking. 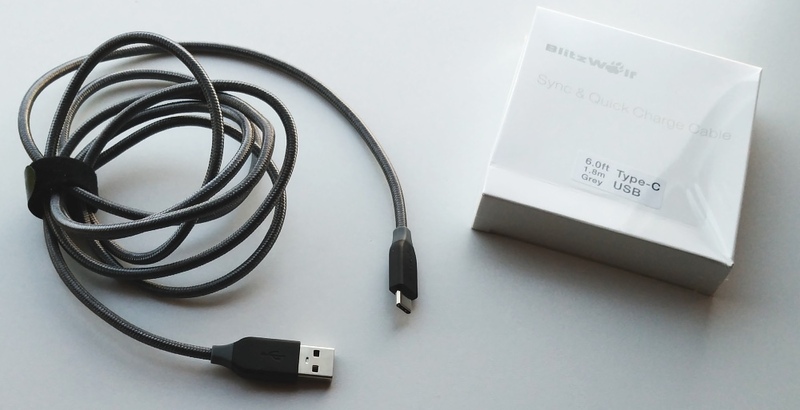 This Blitzwolf 'AmpCore' Type C cable (available in microUSB and Lightning forms too) is so tough that you can tow a car with it. Yes, you heard that right. What's as impressive though, is that all this rugged high tech isn't much more expensive. I know this sounds like an advert, but each cable (available in various lengths and colours) is between £6 and £8 on Amazon UK. Which, for a reliable Type C cable that will last a lifetime, seems well worth it to me. Premium Quality Materials: Nickel-plated reversible connector heads and 1.8m/6ft durable braided wire sheath with 21AWG power and 30AWG data tinned copper wire cores can be bent over 5000 times with no change in performance. In addition to Amazon UK, you can also find these cables on BangGood here (cheaper, but you'd have to wait for shipping from China). PS. If you have an older microUSB-charged phone then this cable is available in AmpCore form here (and here on BangGood). Or if a partner or family member has an iPhone then there's a Lightning version too (and again on BangGood). PPS. For 40% off on Amazon UK, try the coupon codes 7DMQVT26 for the Type C, LXAZLC5S for the Lightning version and KYYIDOKW for the microUSB version.